Billy Kay is the author of Scots The Mither Tongue and over the next few months, he will tell the story of the Scots language from its ancient origins to the present day. Stewart Scots and Tudor English enjoyed the same kind of relationship as Dutch and German, Portuguese and Spanish, or Danish and Swedish today. In other words, Scots and English were dialects arising from a common root which developed independently due to political, rather than linguistic factors. Educated men or women from either country could read the other’s language with reasonable ease, though the spoken tongue presented far greater but not insurmountable difficulties. People who commented on the languages could emphasise their differences or their similarities, depending on which political purpose it suited. In the period of the Reformation politics were polarised into two major factions, and both had good reason to adopt a partisan attitude to one or other view of the languages. The reforming party in Scotland had always been close to the Reformers in England, and looked South for political help against the Catholic pro-French faction in Scotland. Closer political union with England, they felt, would guarantee the Protestant ascendancy. When Knox and his co-religionists succeeded in establishing Presbyterianism, no complete translation of the Bible into Scots existed. This meant that the first non-Latin Bible available was the Geneva English edition. This was seized upon and came to exercise a tremendous influence on a country besotted with religion. From then on God spoke English. The catholic party railed at the anglophile tendencies among the protestant propogandists, citing their desertion of their native tongue as particularly deplorable. Gif ye, throw curiositie of novatiounis, hes foryet our auld plane Scottis quhilk your mother leirit you, in tymes coming I sall wryte to you my mind in Latin for I am nocht acquent with your Suddrone. That is very much an ironic dig at the Reformer, not to be taken too literally. 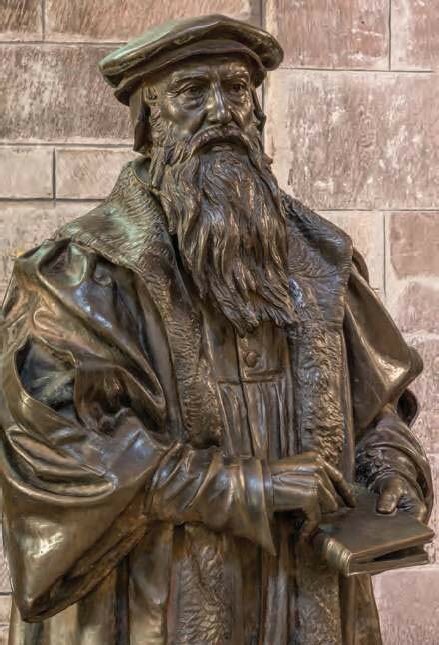 But, another of the counter-Reformers Hamilton, was even more vitriolic in his criticism: Giff King James the fyft war alyve, quha hering ane of his subjectis knap suddrone, declarit him ane trateur: quidder vald he declaire you triple traitoris, quha not onlie knappis suddrone in your negative confession, bot also hes causit it to be imprentit in London in contempt of our native language. 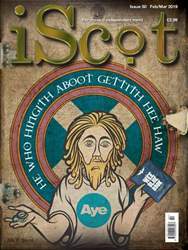 iScot Magazine issue 50 The award winning iScot Magazine issue 50 is now available to download with a bumper packed 124 pages of the best crack in Scotland. Bird Box, Bird Brain or Bird’s Eye View?